I’ve done a few of these golf R’s and I must say I’m trying to talk myself out of one! 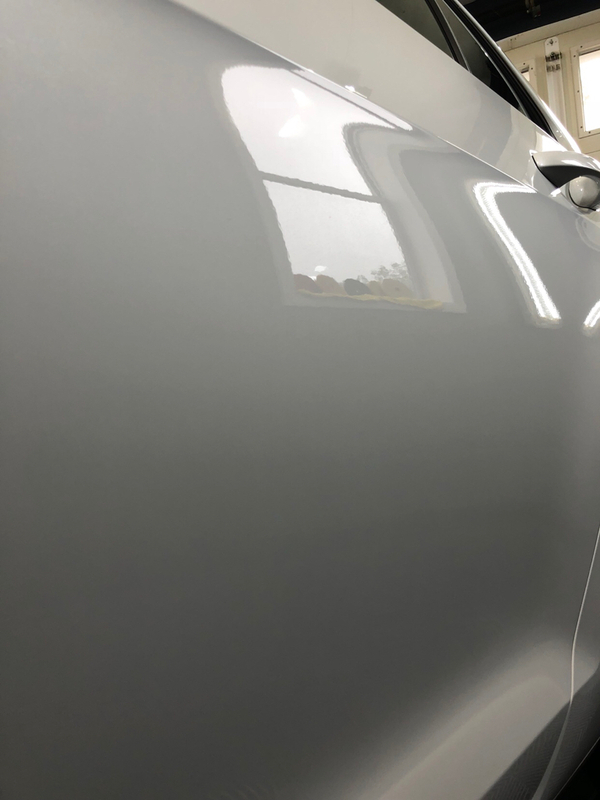 New client who was all over the forums looking at coatings, has a couple of friends with these cars who had them coated with some of the more common ones and they told him to go the Modesta route! I apologize for not getting good pictures of the paint as I can’t get good ones on white cars, but the door pillars tell the story. Correction done with Griot’s fast correction cream on a microfiber pad with the G21 at speed 3.5-4. This provided an almost lsp ready finish. Refined with Modesta Primer on a Modesta polishing pad. Coated paint with BC08 as well as wheels. Polished exhaust with Griot’s perfecting cream on a yellow perfecting pad using the Rupes I brid. Glass with Dr Beasley products, tires with Griot’s long lasting tire dressing. Thank you for looking! No outside pictures due to the monsoon we’re getting! The Golf R is definitely a sleeper. I have heard on some of the forums that the lower powered GTI is more fun to drive. As far as inexpensive fun cars go the GTI is on a very short list. Small fun cars are a dying breed. Too many SUVs and CUVs, ugh. Thank you guys! Yeah I’m getting close to the edge also! Looks great! While I applaud the owner for getting a great car, they really should have bought one in Lapis Blue, which is a bespoke color for the R and one of the best looking blues on a car anywhere...IMHO. He tried, couldn’t get one in his time frame. Oryx White is actually a more expensive color option than Lapis Blue everywhere except in the US. The Oryx White R in the US is the same price as all the other color options. I also don`t think VW use Oryx White on any of their other vehicles so it`d be just as exclusive as Lapis Blue...at least in the US. Nice work as always. Are those black side pillars paint, glass, or some type of plastic? I have something similar on one of my cars and it seems to be some type of glass that horribly swirled, but also slightly faded so I`m considering just wrapping them and being done with it. If you don`t snap this up Mike, I think I might, lol. The pillars are that dreaded soft plastic. Everyone uses them to shut the door. We have found Griot’s finishing Sealant on both microfiber and finishing pads works great. We also try to get clients to put PPF on them. If I did buy that car, it would cost me not only the car cost , but half of everything in the divorce! LOL! That`s a beauty, but what is VW thinking with those wheels! They never should have dropped the Pretorias which were not around for very long. 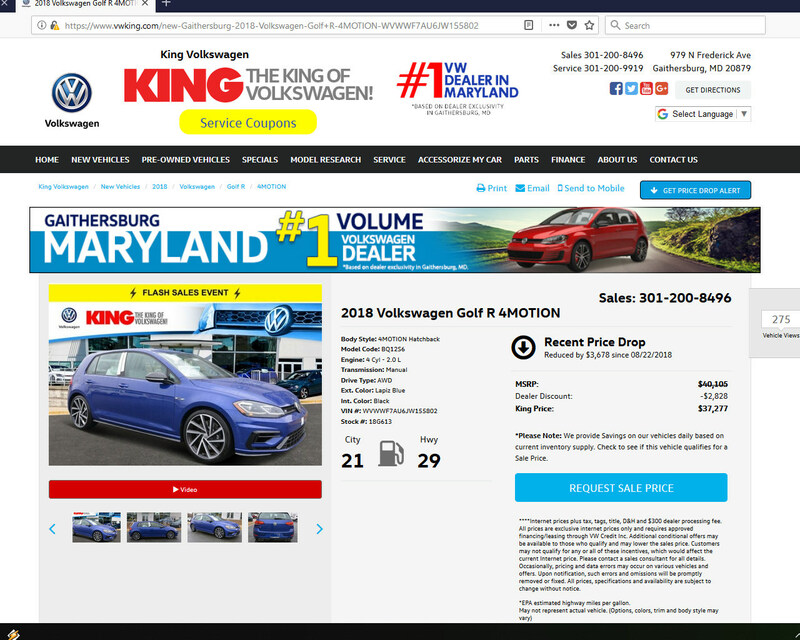 Just like my GTI, VW has this uncanny knack for putting the heaviest, most unattractive wheels on their performance cars. They almost dare you to slap aftermarket wheel on shortly after purchase. nice work on this, Mike.